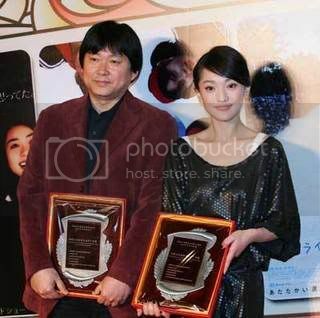 Beijing's New Century Cinema started a three day Japanese film festival on Thursday to mark the 35th anniversary since China and Japan normalized their diplomatic ties. Most of the films will explore the themes that are popular with young people, like love, dreams and worries. They will also act as a mirror on Japanese society and culture, showing Chinese people how Japanese people act, live and think. "Heaven Can Wait, Maybe...", "All of the 15-year-old Boys" and "Give It All" are just some of the films in the line-up. 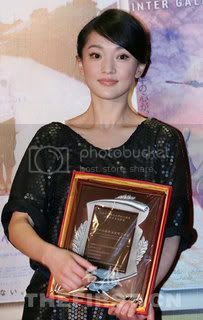 Zhou Xun and Huo director were invited to be sponsor to promote the exchange of culture and movie between two countries at this festival.